Motivation is what drives a visitor to take action and is one of the most important determinants of the conversion rate. 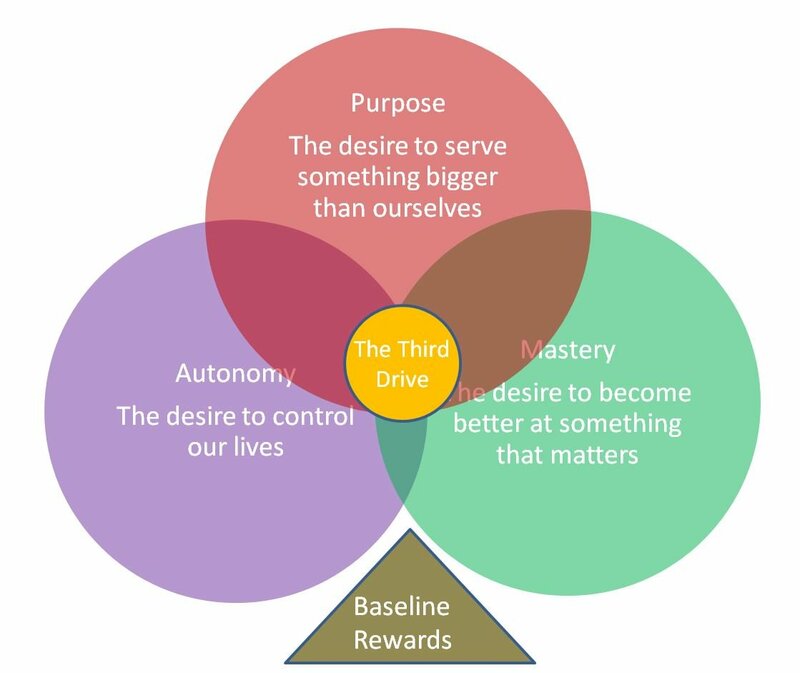 Recent research by the Psychologist Daniel Pink (see his book – The Surprising Truth About What Motivates Us) demonstrates that the evidence supports three core human motivations; autonomy, mastery and purpose. However, human behaviour is more complex than we like to think it is. The psychologist Daniel Kahneman’s research indicates that emotions and social influence are also important drivers of behaviour. Loss aversion appears to be hard-wired into the human brain and Kahneman suggests it is one of the most powerful drivers of human behaviour. Kahneman and his late friend Amos Tversky also identified two different brain processing systems in action when we make decisions (see System 1 and System 2). Depending upon which system is in control at any one time we might make different decisions. System 1 is more prone to emotional impulses, while System 2 is more analytical, but a lot slower. When we use these different models of human behaviour we need to consider contextual issues as these are also very influential. This means that any model needs to be applied pragmatically and according to the situation and with thought about its relevancy. 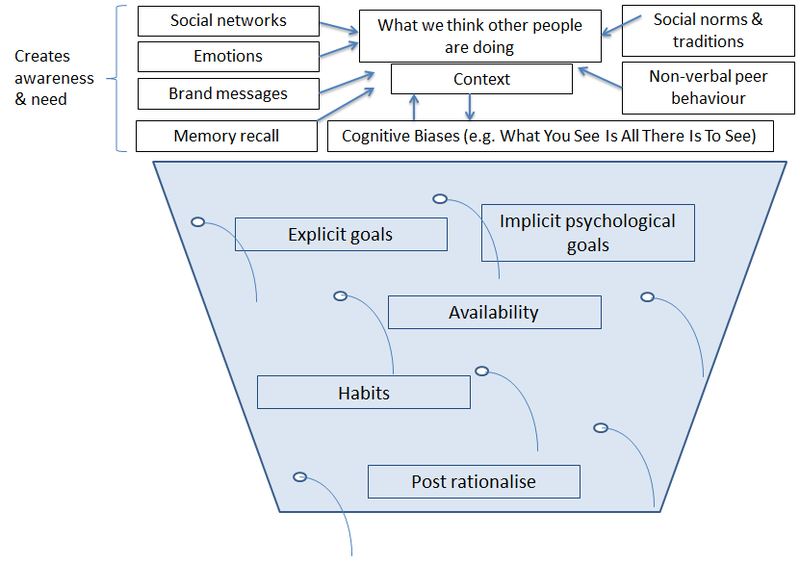 From my study of behavioural economics I have created the conversion bucket which summarises the many and complex drivers of human behaviour. Also see explicit and implicit goals. Human decision making – Are people more rational when buying financial services and big ticket items? Gut instinct – Why do people prefer to follow gut instinct rather than research?